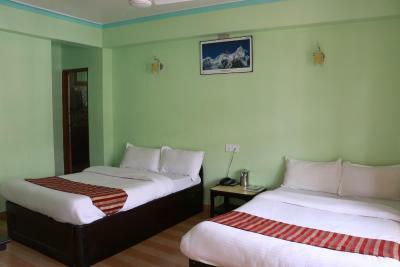 Excellent location, you can see Annapurna from the hotel. 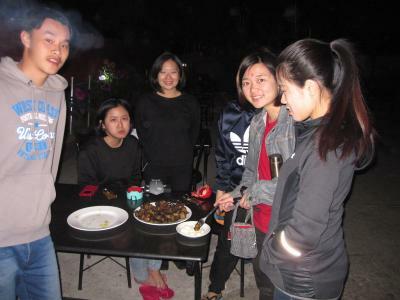 IT WAS MY BEST STAY IN POKHARA. 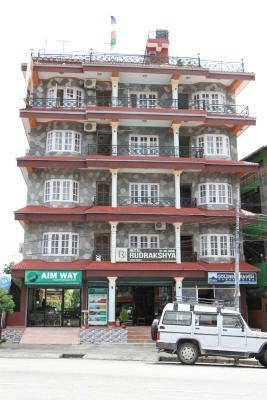 RUDRAKSHYA HOTEL IS BEST PLACE TO STAY AT LOW COST. SERVICE WAS EXCELLENT. I DID POKHARA CITY TOUR AND PARAGLIDING THROUGH HOTEL RUSRAKSHYA AND IT WAS SO MEMORABLE. STAFFS ARE HELPFUL. IT IS JUST NEAR FROM FEWA LAKE AND LAKESIDE. THE VIEW FROM THE TOP OF THE HOTEL IS SO FASCINATING. I RERECORDED TO STAY HOTEL RUSRAKSHYA AND SPECIALLY TOP FLOORS. I like the guy who was in reception. Other service are very poor. Perfect location, perfect property, All staff very helpful. We enjoy our stay. Thanks Hotel Rudrakshya Team. Welcoming environment, convenient, clean, comfortable and there's a guy bisham, who's also an owner of the property... he takes good care of everything. Genuinely humble, friendly nd smart. When we arrived there was a gecko in our room, got moved to a nicer bigger room. Friendly staff, nice room. Wi-Fi is broken but the staff does not mind it Even if you point it out. Even if you Book AC room, if you do not claim it, You will receive a room without AC!! Lallotjament molt be pero el segon dia no ens vam netejar l' habitacio, al fer la reclamacio van dir q al moment de netejar estavem a l' habitacio i es va respondre q ningu ens havia informat de l' hora q calia estar fora per poder netejar i q noera motiu per no netejar ni canviar al menys els tovalloles q per cert nomes va ser una pet parella. 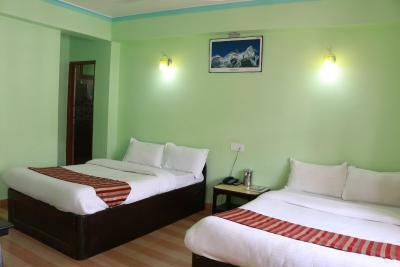 Hotel Rudrakshya This rating is a reflection of how the property compares to the industry standard when it comes to price, facilities and services available. It's based on a self-evaluation by the property. Use this rating to help choose your stay! Offering a multi-cuisine restaurant, Hotel Rudrakshya is located in Pokhara, just 0.6 mi from the Fewa Lake. Free WiFi access is available. Each room here will provide you with a seating area. Featuring free toiletries, private bathroom also comes with slippers. You can enjoy city view from the room. At Hotel Rudrakshya you will find a 24-hour front desk, a garden and barbecue facilities. Other facilities offered at the property include a shared lounge, a ticket service and a tour desk. An array of activities can be enjoyed on site or in the surroundings, including cycling, hiking and canoeing. The property offers free parking. The hotel is 1.4 mi from World Peace Pagoda, 1.9 mi from the Davis Fall and 1.9 mi from International Mountain Museum. The Pokhara Airport is 1.2 mi away. When would you like to stay at Hotel Rudrakshya? It offers additional space and only few rooms have bathtub. Each large room here will provide you with a seating area. Featuring free toiletries, private bathroom also comes with slippers. You can enjoy city view from the room. House Rules Hotel Rudrakshya takes special requests – add in the next step! Hotel Rudrakshya accepts these cards and reserves the right to temporarily hold an amount prior to arrival. Everything's perfect but there's one staff who was irresponsible. Well the owner assured nd promised, will never happen the same again. Had no WiFi on 5th floor so had to go to different floor for WiFi. Electricity was switched off when staff thought you went to bed, or maybe the switch tripped. Rang down 3 times in the space of an hour when watching TV.I asked for chicken butter masala and got some kind of meat substitute. When I asked the staff he said I had ordered it. So putting this down as 'miscommunication'. Breakfast not good, eggs burned,raw onion and the inside of the pepper was cooked seeds and all. Close to the center, but too expensive for what it is. Bad wifi, poor shower and frequent electricity cuts. You can find better for the same price.